Last year while The Guitar Channel was in Canada to cover the Montreal Jazz festival, we did a video interview with the master luthier Michael Greenfield in his wonderful workshop. This year, the idea was to record a series of Luthier Chronicle with Michael to give a full visit of his luthier workshop and to have a better idea of the way he build his wonderful acoustic guitars. In this video you will learn how Michael deals with guitar finishing. 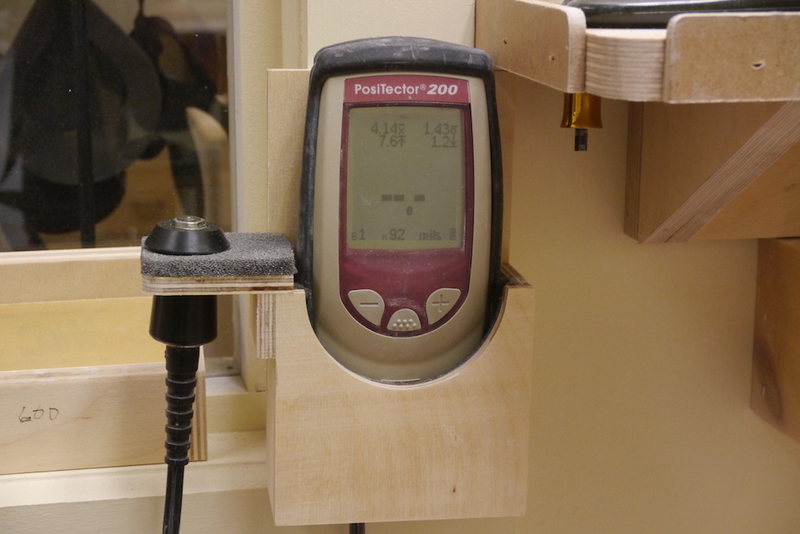 The device used by Michael to control the thickness of the finish of a guitar. Until the next Luthier Chronicle or interview, keep on playing the guitar!